I've wanted to try Sigma brushes for ages but I never knew which one to try first! I finally narrowed it down to the Kabuki brushes and couldn't choose between the Flat Top Kabuki and the Round Top Kabuki. I decided on the F80 Flat Kabuki as I own a few round top brushes and have never tried a flat top brush! 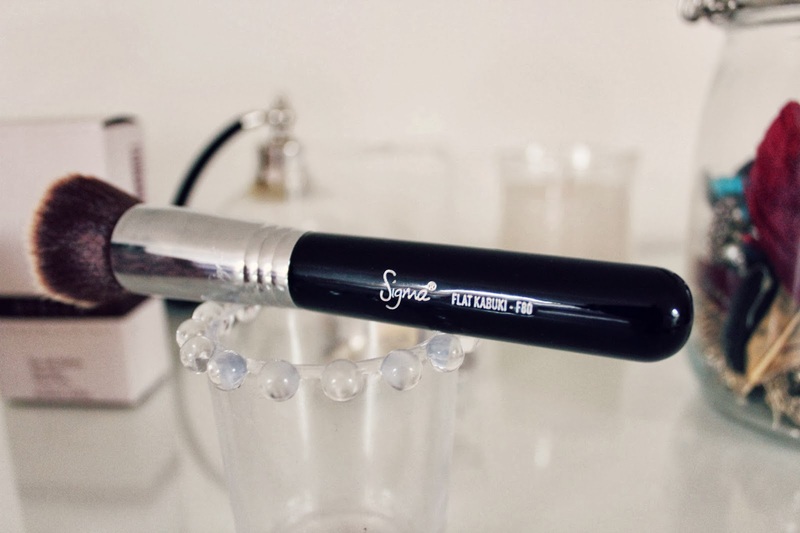 I ordered the brush from Cocktail Cosmetics, I think you can also get Sigma brushes from Love-Makeup.co.uk but they sometimes get taken off that website so I think Cocktail Cosmetics is the best bet! The brush retails for £15.95 which I think is really reasonable, especially as they rival Mac brushes. 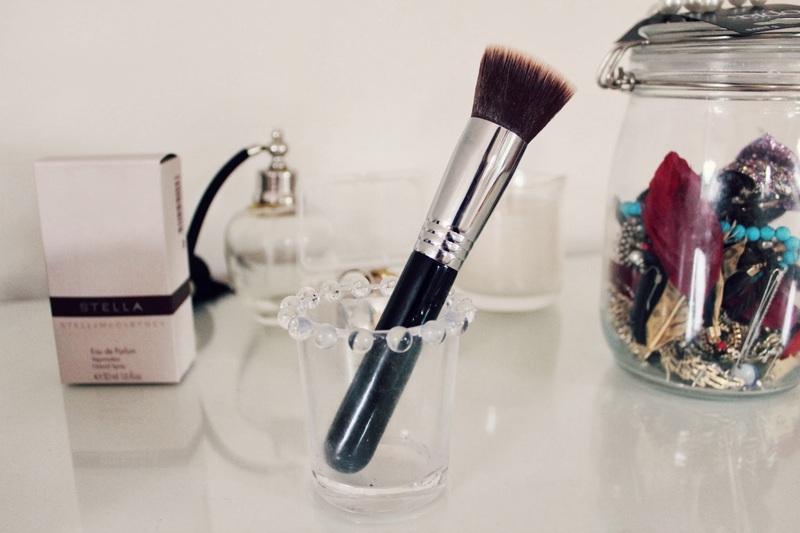 I use this brush with my liquid foundation, the Giorgio Armani Luminous Silk Foundation. It makes it so quick to apply foundation compared to the Real Techniques Buffing Brush, it is a lot denser than any brush I've tried before, which I personally love. I was slightly worried that the brush would struggle around my nose as it's flat topped so I thought it would be difficult to get the product evenly distributed but it works really well. The main thing I'm impressed by is how soft the brush is, it definitely rivals both Mac brushes and Real Techniques brushes and I am 100% going to buy more! It is now my favourite brush for applying foundation, it is so so soft and applies my foundation so quickly! Have you ever tried Sigma brushes? Which would you recommend? I really want to try some Sigma brushes, I too can't decide what to try first. This one looks great but as I use mineral foundation it wouldn't benefit me, I'd like to try a flat top concealer brush. This brush is my next one I too buy, I am just waiting for my MAC one to die. I love that it is so dense too. I've been dying to try some sigma brushes, but I do love my real techniques ones and they are much less expensive! I have yet to try any Sigma brushes, but this one looks absolutely lovely. Great Review! I have heard so much about how incredible this brush is and it sounds like it is definitely worth a try. I love the look of these brushes, I've wanted to try a flat top kabuki for ages!